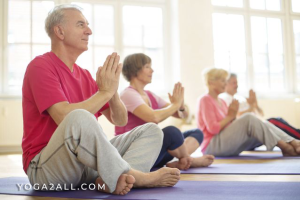 What Is Yoga And How Is It Effective For Diabetes Control? Diabetes mellitus commonly called diabetes is a clinical condition mostly caused either due to inadequate production of insulin by the pancreas or when the body ceases to consume the produced insulin for a prolonged period. In either cases the affected person suffers from high level of blood sugar (glucose) resulting in polydipsia (increased thirst) polyphagia (increased hunger) or polyuria (increased urination). As the 2014 WHO report says 9% adults of the total world population has diabetes, in 2012 diabetes was the primary cause of 1.5 million deaths and if kept untreated it can damage the function of cardiac system, Central nervous system specially nerves and eyes and renal system. Regular practicing Yoga for diabetes helps to keep this disease in control. 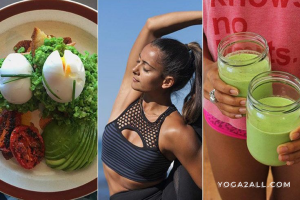 Though, there is no direct preventive measure against this epidemic yet it is proved that blood sugar levels can be controlled by maintaining a healthy diet, doing Yoga for diabetes and avoiding tobacco and alcohol. Yet, Yoga for diabetes plays a commendable role in controlling diabetes. It is one of the most pristine measures that add a holistic goodness to your health. Continuous practice of yoga protects the body from the adverse effects of stress that is considered a key instrument in causing diabetes. Since diabetes is also an outcome of obesity, practicing asana for diabetes daily hinders fat accumulation in the body. Sun salutation is good and simple Diabetes yoga to begin with. This Yoga for diabetes can be best performed early morning in empty stomach. It energizes and strengthens all the major muscles as the body is stretched while performing it. Though there are several versions of performing this pose, this Yoga asana for diabetes can be particularly beneficial in instilling happiness in your conscience whose effects lasts through the day. Like pranayama the process of kapalbhati is also related to breathing. But most significant is the movement of stomach muscles and the pulling upward of ribs exhaling air through the nostrils. Consistent practice of this Yoga for diabetes removes toxins from the body improves the function of respiratory system and pancreas. It is easy and better to cure diabetes by yoga for people, who are suffering for diabetes for long time and tired of taking medicines. Known for its holistic benefits, meditation is also effective in fighting diabetes and restoring inner peace and wellness. While meditating some people prefers repeating a traditional mantra like “Om” which symbolizes omnipresent consciousness to instill confidence and composure in you. Regular meditation and Asana for diabetes for at least 10 minutes rejuvenates pineal glands and invigorates the liver, spleen, pancreas and abdominal muscle. One of the most effective Yoga for diabetes that has the power to control both type 1 and type 2 diabetes. This Diabetes asana enhances the blood circulation in the body stimulating the pituitary gland, a master endocrine gland that’s in charge of all the hormonal changes in the human body. It excites the islet beta cells of pancreas to secrete optimum levels of insulin in the body. This is a beneficiary Diabetes yoga posture that helps you to fight diabetes. It is an easy one for beginners where you will have to lay down your back with your legs close to each other. Lift your neck until you face the ceiling. This Yoga for diabetes helps to tone your spine and improve your posture. This is the best and most important asana that has good amount of benefits covering up all the systems of human body effecting specially spine hips chest and arms. Persistent practice of Top yoga for diabetes results in improvement of pancreas and urinary function, purification of blood and other vital organs. If you are stressed out then bhujangasana may relieve you of your discomfort. This invigorating back bend was inspired from the pose of a bhujanga or a snake which reflects the posture of a serpent. One of the easiest Yoga poses for diabetes ever it alleviates stress fatigue anxiety and depression. Its benefits are endless ranging from improving blood and oxygen circulation to improving digestive system. It’s one of the basic postures of hatha yoga where our body takes the shape of a Dhanush or a bow. This Yoga for diabetes helps to cure dyspepsia, rheumatism and gastrointestinal disorders that are major cause of diabetes. Doing it regularly would increase the functionality of liver, kidney and pancreas. Though it is a difficult one for beginners yet it should be considered for its significant detoxifying ability. It has derived its name from the posture of a peacock when it spreads out its feathers at the back. Peacock pose, Yoga for diabetes cures dyspepsia and stomach diseases caused by wind bile or phlegm and take a good care of the entire abdominal viscera. Diabetes patients, who are thinking how to diabetes control with yoga, can practice Peacock Pose. Perhaps the easiest Yoga for diabetes where you just have to stand straight and raise your arms and join your hands and breathe in and breathe out for fifteen minutes to get best results. It helps in developing a good body posture and tones your torso and thigh muscles. A large numbers of diabetes patients defeat diabetes by yoga Tree pose. Lastly easy pose can be highly prescribed for controlling diabetes. But if you are habituated in sitting on chairs then this can be a bit challenging for you. You need to sit in Indian style and cross your thighs and relax. Take a deep breath and exhale. Continue doing this till your body permits. Doing this yoga on a daily routine would soothe your mind and tranquilize your whole body and you can defeat diabetes by yoga. Yoga promotes overall fitness to your body. 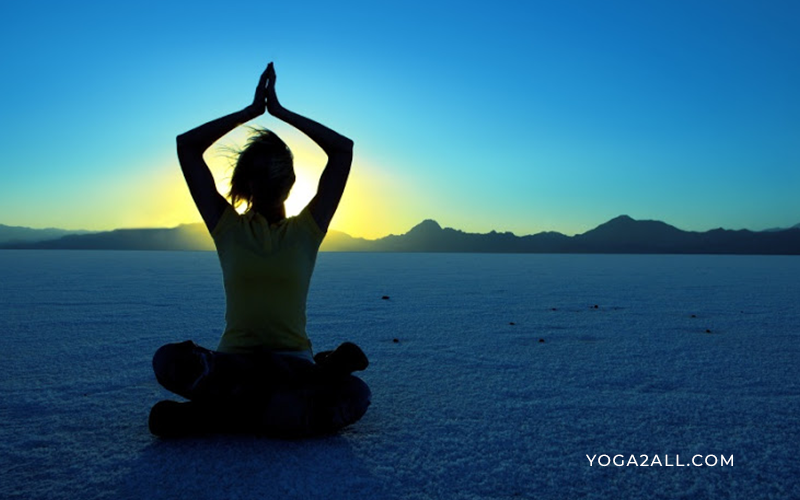 Ever wondered why most people suggest practicing yoga to Diabetes control by yoga? If you are still clueless then why don’t you begin yoga for diabetes of your own and find out the exquisite charms of practicing yoga regularly. If you are a diabetic then spending half an hour doing yoga everyday can help you fight your blood sugar levels and if you are not one of the unfortunates then also you are welcome to the simple yet exotic world of yoga to keep diabetes at bay.